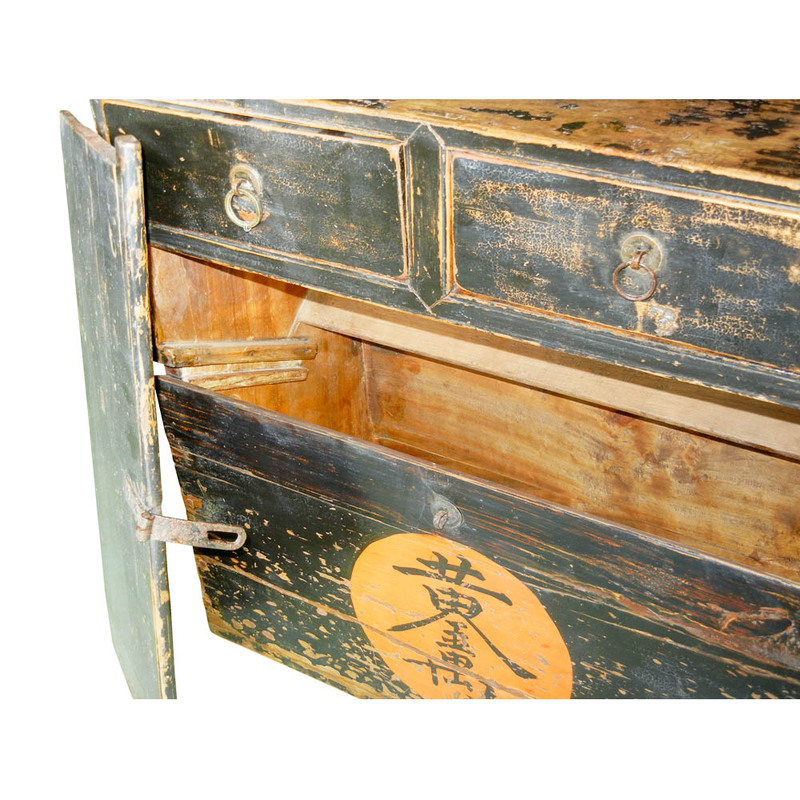 A rare and interesting antique merchant's storage bank chest made of Chinese walnut hardwood with original lacquer and calligraphy "Ten Thousand Yellow Gold"; with two drawers and a slat inside. 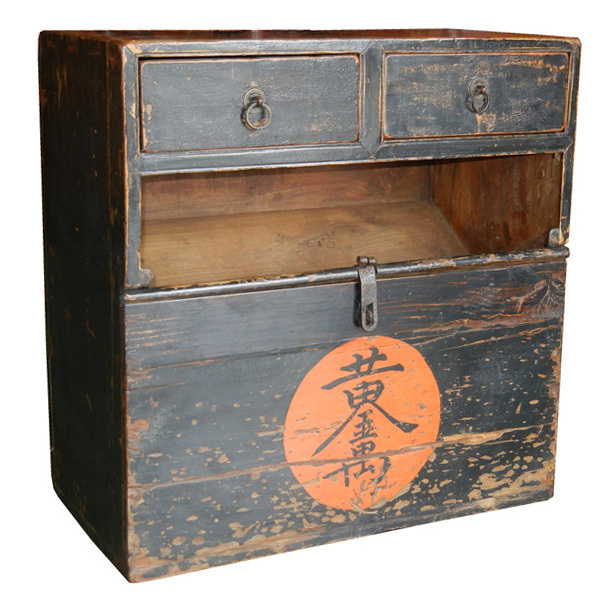 Please note the construction of this piece is a small desk on top of a storage bin to allow the owner of the chest to write on the top while using the bottom section for storage. A truly uniqque piece!